Latest Government job notification is out related to the ITBP Recruitment process for Assistant Commandant posts 2018. These posts are for the Gazetted officers under ITBP defence forces. ITBP department issued an official notification on their official website in which they are inviting all Indian candidates to apply for this recruitment process. The process for applying these Assistant commandant posts is online. So those who are interested should read this whole article carefully before moving to online application. More detail related to this ITBP Recruitment is given below in this article. 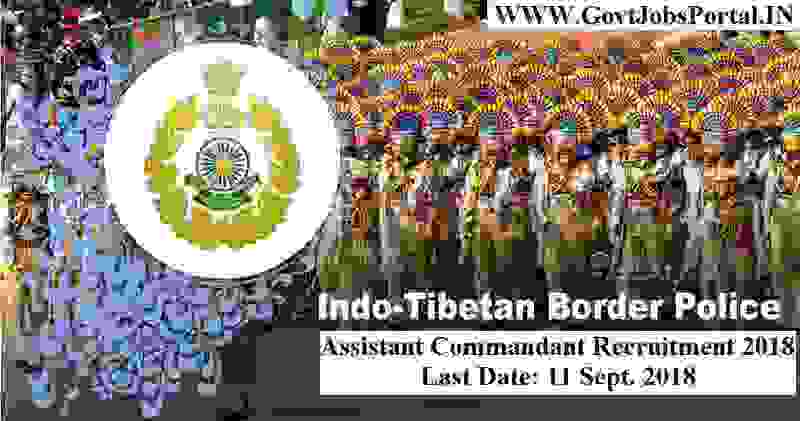 What are the Eligibility Criteria for applying this ITBP Recruitment? Education: All engineer candidates can apply for this ITBP Recruitment for assistant commandant posts. The engineering degree should be in civil stream only. What is the process for Applying this ITBP Recruitment? All eligible candidates can apply for this ITBP Recruitment through online process. There is one other process for applying these Government jobs and that process is offline. So candidates can choose one of these two methods for applying this ITBP Recruitment 2018. 11TH Aug. 2018 is the Opening Date for Applying. 11th Sept. 2018 is the Last Date for applying.